Pondering the unusual association serious electronic composers had with children’s music in the 1960s—especially Raymond Scott. Today’s GIF features a clip of a baby playing with a small bell, a portion of a child-development film produced by Dr. Arnold Gesell in 1945. Gesell’s work plays an important part in this story. Want another great newsletter in your inbox?  Join 60,000 others by subscribing to the weekly Hacker Newsletter. From interesting technology to startups to everything in-between, you’ll find great reads each week. Sign up today! Why did children’s music become such a great venue for primitive electronic music? It was not clear the form electronic music would take in the 1960s—there were no laptops, no drum machines, no masks, and no context for what electronica was supposed to sound like. The result was that contexts often were invented for such music—think, for example, Delia Derbyshire’s work on the song that became the Doctor Who theme. Studio experiments with electronic tinges—such as the clavioline-driven “Telstar,” the space-age instrumental Joe Meek produced for his backing band The Tornados—could still become hits, certainly, but there wasn’t a context for them to become the type of things that would be the basis for long careers. In fact, they were the very definition of novelty, a market that was much more prominent back then than now. And perhaps for that reason, many of these songs translated easily from novelty tunes to children’s music. Maybe blame/credit Ross Bagdasarian, whose discovery of a voice-modification tape trick led to the creation of Alvin and the Chipmunks—and showed how a novel musical trick could singlehandedly generate a hit song. Bagdasarian, better known as David Seville and a subject of a relatively recent Tedium piece, helped over time to reinvent the Chipmunks as children’s music—something his son followed through on years later to turn the property into a multimedia success. Perhaps it was a side effect of Bagdasarian’s savvy placement of his creation, or perhaps it was a general opinion that considered novelty music in the same category as child’s play, but children’s music and novelty music often became intertwined. This situation over the years has probably strengthened the fanbases of acts like Weird Al Yankovic, but it’s also likely made it acceptable for offbeat musicians that initially targeted adult audiences, such as They Might Be Giants and The Aquabats, to find fresh success later in their careers with children’s music. And with electronic music fully in the novelty category in the 1960s, it probably made sense that there was a full thread between the early bleeps and bloops of the pre-Moog era and early children’s music. Which explains Raymond Scott’s decision to collaborate with the Gesell Institute of Child Development. The year that the Gesell Institute of Child Development was formed in Connecticut. A 1951 New York Times article on the institute, upon its public opening, notes that the institute was essentially an extension of existing research done at the Yale Clinic of Child Development by Dr. Arnold Gesell and his colleagues, including Frances Ilg and Louise Bates Ames. Gesell was an expert in child development (there is a developmental theory named after him, of course) and was known for using innovative technology and novel techniques in his work—most famously, a dome built out of a one-way mirror that allowed researchers to analyze children without disturbing them. 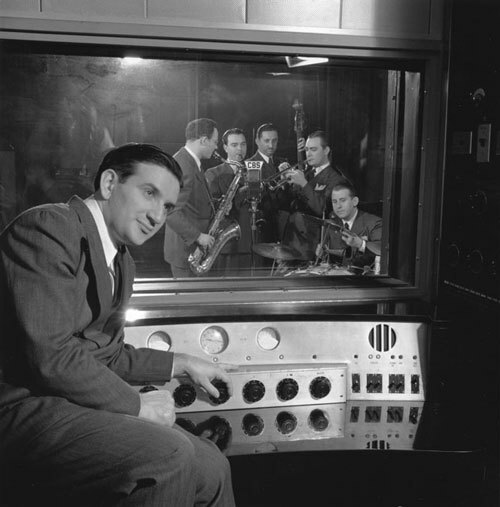 By the 1960s, Raymond Scott had moved well beyond the jazz compositions that became his trademark in the 1930s and 1940s, in part because his vision of composition had moved beyond the limitations of humans. Perhaps within the next hundred years, science will perfect a process of thought transference from composer to listener. The composer will sit alone on the concert stage and merely think his idealized conception of his music. Instead of recordings of actual music sound, recordings will carry the brainwaves of the composer directly to the mind of the listener. Scott’s prior success as a musician—his compositions appeared in Looney Tunes for more than 20 years—gave him leeway to try his hand at such experimentations, and he increasingly would follow his muse as a tweaker and creator, inventing new kinds of instruments, such as the Clavivox, an early electronic keyboard, and the Karloff, a sound-effects machine, under the guise of his electronic music studio Manhattan Research. This inventive spirit led him to have early relationships with important electronic music figures—synthesizer pioneer Robert Moog, a quarter-century younger than Scott, took great inspiration from him—but it also led to offbeat opportunities to work on unusual projects. One of those projects was Soothing Sounds for Baby, a three-part series Scott worked on in collaboration with the Gesell Institute of Child Development. Described on its back cover as “in effect, an aural ‘toy,’” the project stood out in no small part due to its novelty. In a strange way, though, the work of Raymond Scott dovetailed nicely into the work of the institute, which experimented in the area of child development in ways not dissimilar to the way Scott thought about music. And while the ask certainly allowed for plenty of room for Scott to experiment, it also gave him some parameters with which to build around. The first volume of the three-volume series. Admittedly, Scott’s tunes, targeted at infants and young toddlers, certainly didn’t fall squarely into lullaby territory, even if the included sounds certainly borrowed some inspiration from them. It was a little busier than, say, Brian Eno’s famed Ambient series, but it aimed for a similar kind of “brain food” that later ambient records did—even if the target audience was significantly younger than the kind of person who would buy an Eno record. It was music for airports for an audience that was too young to know what an airport even was. The three volumes of Soothing Sounds, targeting different infant and toddler age groups, effectively went up in complexity and detail as the volumes moved forth. Despite the decidedly futuristic timbre of the music, there was a concerted effort to encourage a degree of familiarity, according to a pamphlet that came with the record set. 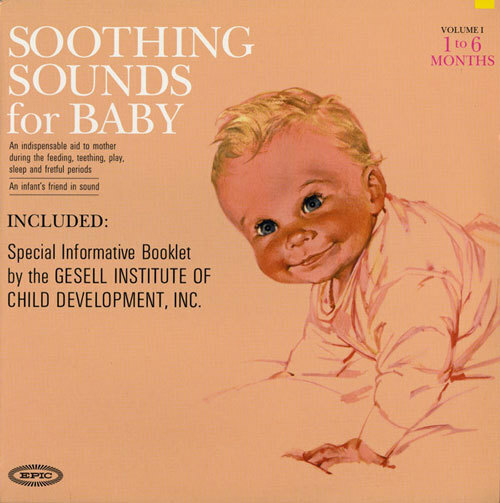 The pamphlet, credited to the Resell Institute, explains that the record introduces familiar noises from households—particularly old households—in an attempt to sooth and stimulate a baby. One one of the albums, Volume 1, for one to six months, there is twenty minutes of an electronic thing going “Tick-Tock.” That’s it, just tick-tock. For twenty minutes. Tick-tock. I don’t know about your baby, but I do know that even if by some chance your kid is soothed into catatonia, you will soon be up and running around the room screaming and banging your head against the wall. The record was niche to an extreme, and accordingly, didn’t do very well at the time. But decades later, upon a rerelease under a new label, the records were better received by an audience of music listeners who were likely infants when the record series first came out. It was part of a much larger reassessment of Scott’s work—one that understood that he was more than just that guy who made cartoon music. Raymond Scott, years before anyone else, had pioneered ambient music. — Author Mark Brend, stating the thesis of his 2012 book The Sound of Tomorrow—that electronic music did not become popular due to a shifting cultural trend, but because it was delivered to mainstream ears in a series of small, influential ways. In other words, electronic music didn’t just show up one day to take over the world, as MTV tried to make happen in the U.S. in early 1997, when it started promoting The Prodigy and The Chemical Brothers as “electronica.” The battle had already been won by then (and Aphex Twin was better than The Prodigy, anyway). Raymond Scott’s influence on electronic music of the 1960s ran deep, and attracted figures often as unusual as he was. One of those figures was Bruce Haack. An electronic musician in his own right—albeit one that didn’t have the background in either electronics or composition that Scott did—the Juilliard-educated Haack was drawn to electronic music very early on, and his affinity for such instruments gave him a reputation in novelty music roughly around the same time that Scott was first working on his record series for babies. During the mid-1960s, Haack would frequently appear on programs such as the game show I’ve Got a Secret, as well as The Tonight Show and The Mike Douglas Show. But Haack, like Scott, became closely associated with children’s music in the 1960s, as a result of a collaboration he had with an educator, a dance teacher named Esther Nelson. 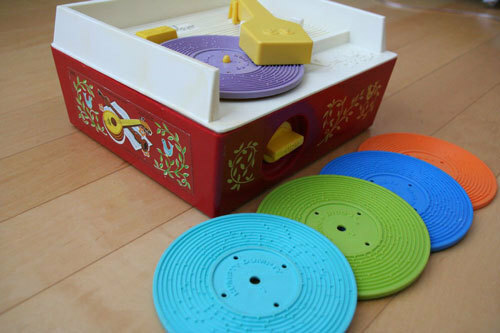 Releasing records on their Dimension 5 label, the duo released a wide variety of children’s records over a 15-year period. The earliest of these records often relied on banter between Nelson and Haack (children’s records of the day had much more of a spoken-word element, which their records played into), and the songs often highlighted Haack’s composition skills across a variety of genres—as well as the way that electronics could color those sounds in interesting ways. Like Scott, Haack produced many of his own sounds from instruments he invented himself. Unlike Scott, Haack had a degree of commercial success in the 1960s. His business partners found ways to take his unusual skillset and put it in mainstream-compatible contexts such as commercials. As the years went on, Haack’s ambitions rose. 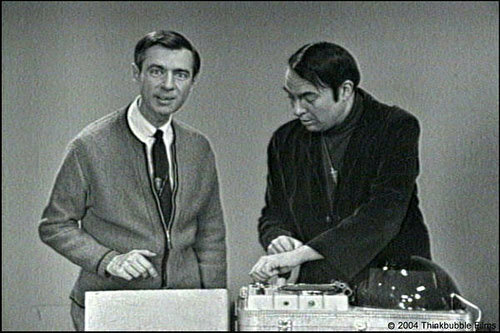 The Way-Out Record for Children, released months after he and Nelson appeared with Fred Rogers, was willfully ambitious and showed a level of experimentation that most records for adults did not have at the time. The context of children’s music proved not a limitation for his ambitions, but a driver, almost. Haack apparently wasn’t nearly as skilled a composer as Scott was—it’s said that when Haack went to Scott’s studio, Haack wasn’t allowed to try Scott’s instruments, though other sources disagree—but they were clearly of the same spirit. Much like Scott, the career of Bruce Haack would only be seen as more than a novelty by later generations of music fans, whose tastes had come to embrace the playful experimentation of electronic music. The work by Scott and Haack, respectively, highlights the power of adding parameters to artistic output in an effort to suit commercial tastes that weren’t exactly favorable to their creative output at the time. And in both cases, the musicians eventually moved past their respective diversions into music targeted at young children (albeit different age groups) as the musical tide shifted in their favor. Scott, for one, found a powerful backing for his tinkering, which was simply too interesting to leave alone. In the early 1970s, he sold an an early electronic music device, the Electronium, to Berry Gordy and Motown Records. The device was complex, but the power was not lost on Gordy or the Motown executives who traveled to see the device in person. The device was so complex, however, that Motown eventually hired Scott to manage the device full-time—giving the brain whose compositions defined vintage cartoons a modern context, even if, as it turned out, the device failed to live up to its commercial weight. Scott, who died in 1994 at age 85 after years of declining health, lived just long enough to see the seeds of a cultural reassessment that only picked up after his death. Maybe “Powerhouse” remains his defining song, but Soothing Sounds for Baby found its fan base. Haack, meanwhile, found a better context for his ambitions as a composer during the psychedelic music era and beyond. In 1970, he released what would become his magnum opus, The Electric Lucifer, for Columbia Records. It was a weird record, but that was OK, because a lot of weird records were released upon that time, and while the album didn’t set the world ablaze, it was critically acclaimed and showed his skill as a serious composer. The last decade of his career was defined by increasingly left-field turns (Haackula, which long sat unreleased, is very much not children’s music), culminating in 1982’s “Party Machine”—a song, produced by a pre-Def Jam Russell Simmons, that placed Haack within the then-budding trends of electro and hip-hop. It was the last song he released before his 1988 death at the age of 57—a death that sparked a cultural reassessment that continues to this day. As with electronic music in general, pop culture caught up to him, not the other way around. And we might have chidren’s music to thank for planting that seed. Find this one a fascinating read? Share it with a pal! And by the way, go check out Hacker Newsletter!